Communist terror varied from one country or region to another, and at different times within any one geographic unit; nevertheless, the common elements, both theoretical and practical, are easy to discern. Political police forces (known as �state security� organs), charged with controlling �ideological� rather than ordinary crime, tended to dehumanize the �class enemy� as historically obsolete and �destined� to become extinct. Abuse of the �mentally ill� designation also cut across communism�s manifestations. Marx and Engels� oxymoronic �dialectical materialism�, juxtaposing the inevitability of revolution with the imperative of party leadership and predicated on a quasi-divine belief in history as progress, allowed zealous disciples to justify terror and murder by transforming �is� into �ought.� Lenin understood perfectly that the next stage of history must be right, hence any means to bring it about were justified. Therefore, expediting the proletarian nirvana requires �eliminating� those who doubt the omnipotence, omniscience and benevolence of history�s anointed force, the vanguard of the proletariat, the Communist Party. I think we understand that the atrocities and mass murders of communist states have been given a pass in history due to the reflexive sympathy to the Left's "the ends justify the means" ethic,�on the part of the intelligentsia. I hope Hollander will help to undo that deception.�Read the whole thing. The reviewer closes with "We must achieve more sophisticated insights into the catastrophic effects of self-righteous fanaticism and the dystopias that invariably follow." That's a mouthful. The personality types that will abuse fellow citizens will always be with us, says history. There are pols on the stage right here and now that given a similar system, would drop without so much as a ripple into proper commie or nazi slots. Yes, Buddy. That is the relevance of the piece. People who desire power over others are the very worst. Live and Let Live is my motto - and I am not even in "the program." Agree--and thus the critical, critical need for strict constructions on the Supreme Court. Voters should approach their choices from this end first, I think. There's a great book on how murderous Communism really was (is): "The Black Book of Communism". It's coauthored by several academics. Here's one review:When it was first published in France in 1997, Le livre noir du Communisme touched off a storm of controversy that continues to rage today. 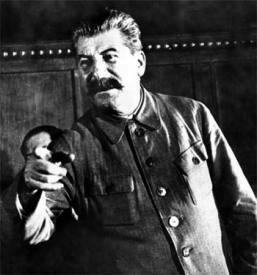 Even some of his contributors shied away from chief editor St�phane Courtois's conclusion that Communism, in all its many forms, was morally no better than Nazism; the two totalitarian systems, Courtois argued, were far better at killing than at governing, as the world learned to its sorrow. The writer is very good. Stick with it to the end--it's not long. pretty funny--gallows humor--by Oleg Atbashian.